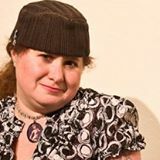 On Sunday, May 15th from 12-2pm, join Left Coast Writers® Live on FCCFREE RADIO’s popular show, Lilycat on Stuff. Lilycat’s guests on Sunday will be Morris Taylor and Jonathan Arnowitz. “Nine Lives of Morris: Great Tales from One Cool Cat!” tells stories from Morris’ varied life in the form of flash memoir. The thirty narratives recount episodes from his childhood in the Great Depression of the 1930’s to his eighty-fifth birthday. Morris writes in the first person, present tense, to give the reader a feeling of immediacy. A dozen poems are free-standing or sprinkled into the prose. Forty of his original watercolors illustrate the 124-page book in full color. Four photographic montages picture various aspects of Morris career as a concert pianist, a professor of music, a watercolorist and gay leather man. Jonathan Arnowitz is a Design Director for Foxconn, the leading maker of Smart Phones. Previously, he has worked as a designer for Google, Nokia, as well for a Dutch Design bureau, Informaat. Jonathan has already published two books on software design. Presently he is working on a series of books under the title of The Goldberg Variations. This series follows its main character on a journey of self-discovery through error and mistakes then through forgiveness and redemption. The first volume of this project is already completed, with another two volumes already in draft. Jonathan’s passions include theater, opera, travel, social justice, and cooking. And all of these passions figure prominently into his writing. A leader in the community of alternative sexuality, he is the title holder of the 2013 International Master/slave education title along with his life partner Morris Taylor. The Goldberg Variations is his first works of fiction.